Hello and welcome to the blog that is set up by the students of the Department of Landscape Architecture at the State University of New York College of Environmental Science and Forestry. As a requirement of the undergraduate program during the fall semester of the fifth semester you conduct an independent study relating to the field of landscape architecture. What we study was determined by the individual during the spring semester of the fourth year while under the guidance of a professor in the department. Each professor can become an advisor depending on the size of that years class. This year we have nine groups going to all reaches of the globe. The purpose of the blog is to supplement the weekly report portion of the project. In past years, a time before the internet, students would mail letters to professors giving an update on the status of the project, this blog now acts as the medium that hosts the weekly reports. The SUNY-ESF interns have now returned from Martha’s Vineyard and the six other off-campus groups have made it back to the country. Many thanks go out to all the blog viewers who have made the official SUNY-ESF DLA Off-Campus blog a monumental success in the inaugural year. We currently have 900 views and counting. This blog will be updated again when the next group of off-campus students begin their adventure. Happy holidays, travel safe, and thank you again to all of the blog viewers. 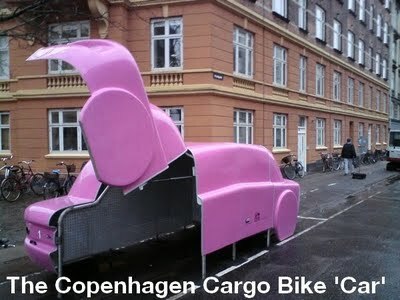 The City of Copenhagen bike office has recently installed several of these fiberglass cars throughout the city to serve as cargo bike parking. 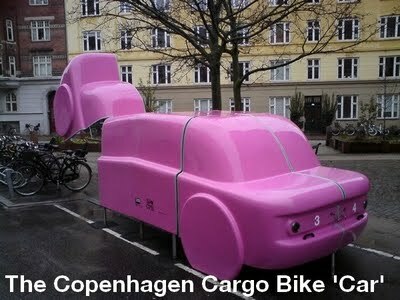 The cargo bikes are parked inside the cars….the symbolism speaks for itself. Each car can hold four bikes, and are designed with hooks and nets for coat storage and solar lighting for the dark Copenhagen winters. Currently a temporary installation, they may become permanent based on the frequency of use. New ideas to improve bike culture are constant in one of the world’s most bicycle friendly cities. First Lady Michelle Obama hosted a White House luncheon for the winners and finalists of the 2010 National Design Award held July 21, 2010 and gave an excellent introduction speech for the event. Give it a view; it is well worth your time, especially for the shout out to Landscape Architects at the 30 second mark. Describing design related careers as revealing as creating and revealing beauty in design solutions that meet at the intersection of art and science, the First Lady quotes the great jazz musician Miles Davis for inspiration; “Don’t play what’s there, play what’s not there”. 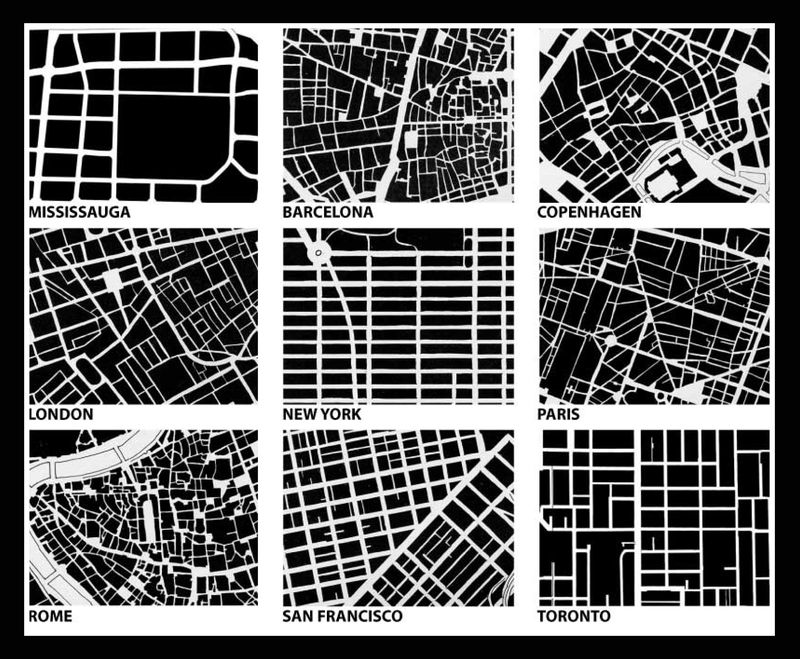 Originally from an article in the Toronto Star, the images above depict the urban form of nine major cities known to be pedestrian friendly. Many of the cities above have had SUNY-ESFDLA off-campus groups over the years. Looking at the images above, it is apparent the organizations of the cities are all drastically different. There is no one perfect form of street fabric for a city to be pedestrian orientated. Many different networks are capable of producing wonderful places and pedestrian friendly environments. The natural beauty of Martha’s Vineyard is the main asset and attraction of the island. The landscape is not themed as a beach resort island, but is instead a working landscape intertwined with lakes, bays, estuaries, forest, and idyllic beaches. 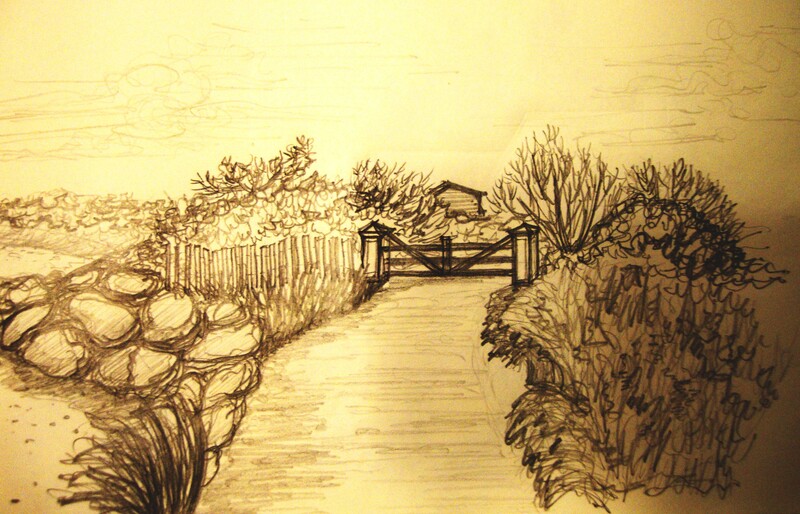 Below are samples of sketches from various locations on the island. 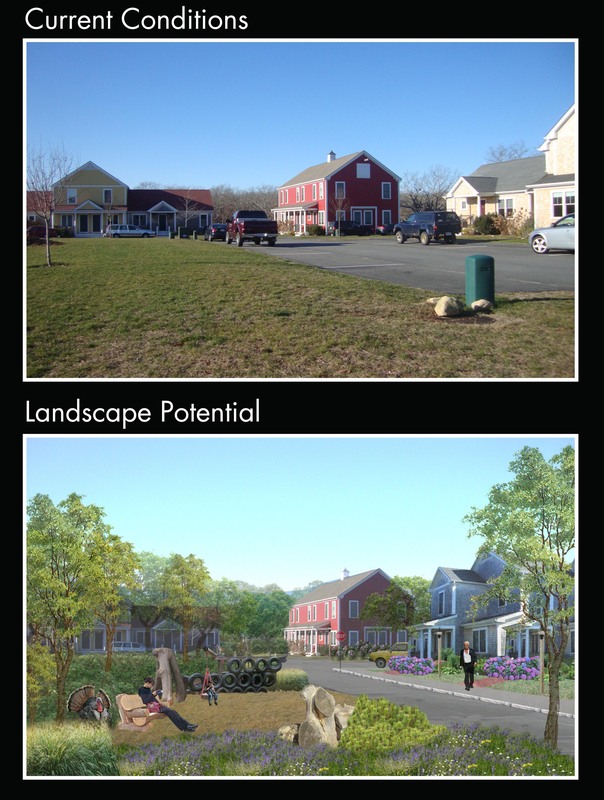 The images above represent the current conditions, and landscape potential of Morgan Woods, generated in the Adobe Creative Suite. While Morgan Woods is the largest, most ambitious affordable housing project on the island to date, there are many flaws to the design approach. The current conditions feel cold due to vast open lawns, poor material choice, and foundation plantings. All of the homes on the site are prefabricated units imported to the island. 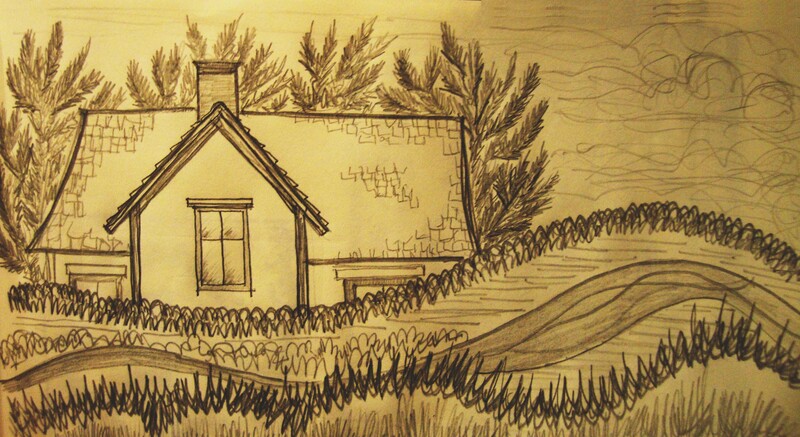 There are three clusters of buildings arranged according to the concept of a farmstead approach represented by what is intended to be a farmhouse, barn, and outbuildings. This arrangement creates three large common areas of open land. 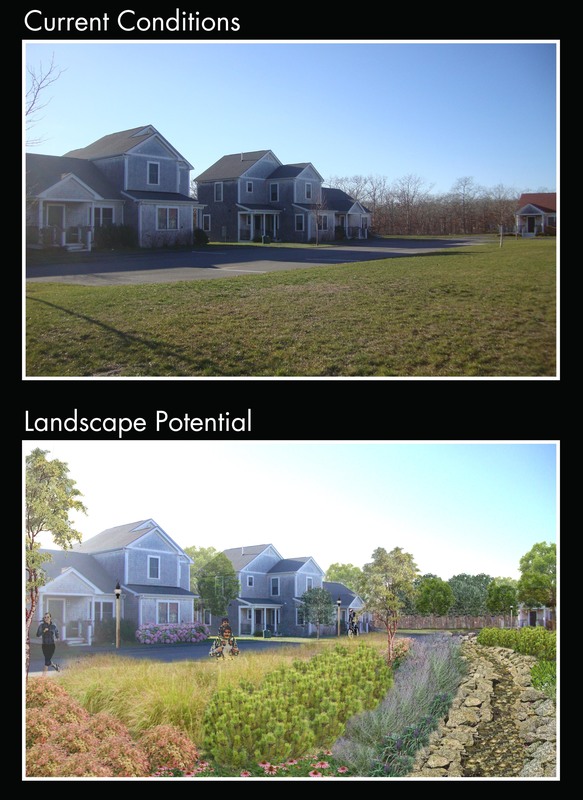 The design proposal approved by the Marthas Vineyard Commission left the common land areas with existing vegetation, however they were clear cut during the construction process. In an effort to remediate the clear cutting, a gazebo, plastic play ground, and circular planting beds have been “dropped” in the centers of the clear cut areas and have drained the budget for grounds improvements. 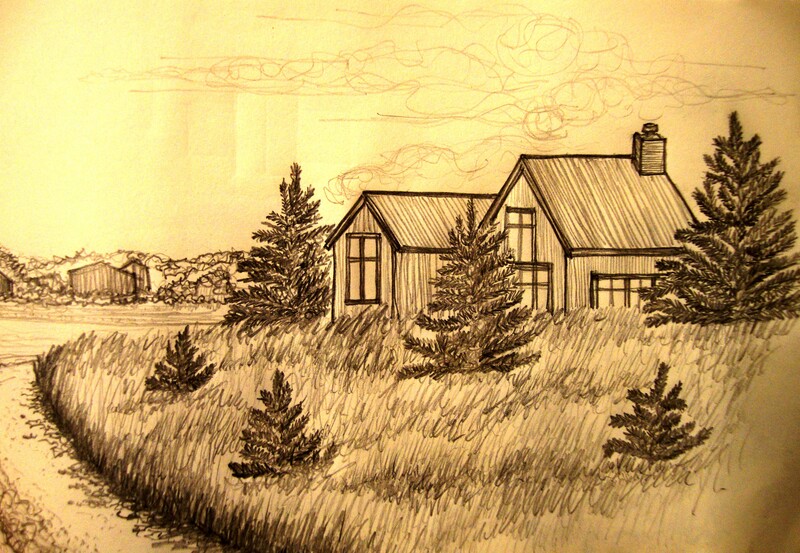 Pictured below is an example of the barn houses on site, arguably the largest flaw of the project. Never actually used as a functioning barn, the structure is detailed to appear as it once was. The architecture of the barn is Dutch Colonial, which has no relevance to the architecture of barns of Martha’s Vineyard, and is indicative of a Vermont farm. Additionally, Greek columns are placed at the entry to the homes making the structure look more out of place. With smarter material detailing choices, and an architectural style that speaks to Martha’s Vineyard, the barn homes of Morgan Way could have been much more successful. Always remember the importance of placed based design and planning.